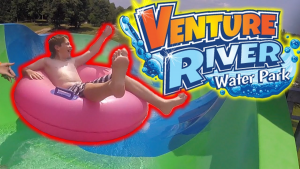 93.3 WKYQ wants you to make a sumer getaway to Venture River Water Park in Eddyville! Click here to sign up for a $200 prize package that includes a 4-pack of passes to Venture River, four more passes to Venture River’s zip lines, and a $50 gas card! We’ll draw for a winner on Friday, July 27th! Good luck, from 93.3 WKYQ! Next story TAKE YOUR TABLET WITH YOU TO THE SHOWER! Previous story WIN BEECH BEND PARK TICKETS!